Well, I asked Mal Walker one of our Logistics Outsourcing experts, exactly that question! I hope his answer helps you. Can you give us a brief introduction to supply chain and logistics outsourcing? Outsourcing is using an external supplier for services to a company that cannot provide them for itself, or cannot provide them in an efficient way. If you look at the situation a few decades ago, there were many companies that manufactured products, stored the products in their own warehouses, ran their own transport fleet and sought to distribute those products, all under their own “umbrella” and their own management. In the 1970s, 80s and 90s, it became increasingly expensive and complex for these companies to handle the warehousing and the transport themselves. The outsourcing industry grew up in parallel with this and the decision of many companies to be supplied externally for such “non-core” or non-strategic activities. What are the basic statistics and trends in the outsourcing industry? Depending on which statistics you look at, it’s not unreasonable to consider that more than 75% of companies now outsource warehousing and transport. In fact as at 2017, 90% of Fortune 500 companies in the United States alone are working with third-party logistics providers, according to a recently released report form Armstrong & Associates. Of course some companies may try outsourcing for a period of time and then decide, for various reasons, to move those services back in-house. However, for many shippers—especially those exploiting the ecommerce explosion—outsourcing has become the only sensible logistics solution. The 3PL market has grown strongly since this post was originally published in 2012 and consolidation is a continuing trend. Key mergers taking place over the last five years have included Exel with DHL, BAX with Schenker, and DSV with UTi, while XPO has expanded massively after acquiring French logistics giant Norbert Dentressangle and the US-based Con-way group. Are there other motivations, besides cost, for companies to outsource “non-core” activities? Yes and, perhaps surprisingly, cost savings should not necessarily be the primary factor in a logistics outsourcing decision. In fact, it’s relatively rare for a company to enjoy lower supply chain costs for some time after partnering with a 3PL. However, there are a number of other very compelling reasons to outsource a logistics operation. Take the example of running a warehouse efficiently. This takes considerable time and resources, not to mention special technologies and investments in mobile equipment, racking systems and so on. This kind of complexity can be difficult for companies to manage in addition to their truly strategic activities—the ones that they really want to compete in. A company specialising in sales or in manufacturing, for example, doesn’t necessarily want the bother of managing warehousing and transport. And perhaps the most common reason of all today (especially for small and medium-sized enterprises) is to tap into advanced logistics technology which many 3PLs now offer to improve visibility, aid process-efficiency, and meet customer demands for real-time information. The decision to outsource logistics is not one to take lightly, especially for larger companies that currently have an in-house warehousing/distribution operation. There are pitfalls for the unwary, and shippers have been known to make mistakes and regret the decision to outsource. The biggest mistake of all is to consider logistics outsourcing as a strategy in itself. At the same time, commitment to a strategic, rather than transactional relationship with a 3PL will be more likely to yield the desired results. This post is intended purely as an introduction to logistics outsourcing, but we hope you’ve found it useful. If you’d like to learn more on the subject, be sure to check this blog regularly, as we often add new posts on outsourcing, such as the part-by-part serial guide that we’re currently running. 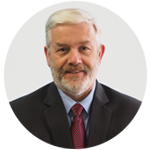 Mal Walker is a contributing Author to the Supply Chain Secrets Book Series. Editor’s Note: This post was originally published in May 2012, and has now been revamped and updated with more comprehensive and current information.